Caprese is a simple salad from the Italian region of Campania. 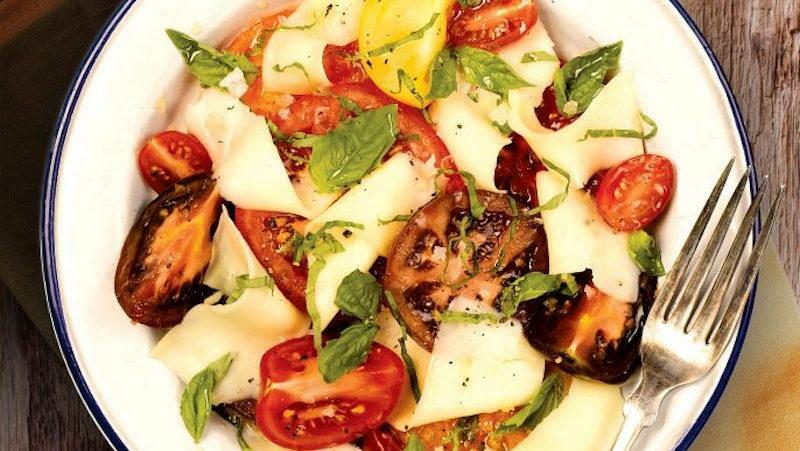 The fresh mozzarella cheese and light seasoning makes it refreshing and crowd-pleasing. With so few ingredients, the salad is easy to make, but it’s classy and bursting with flavor so it will impress any holiday guests, if you don’t eat it all before you get to the party!